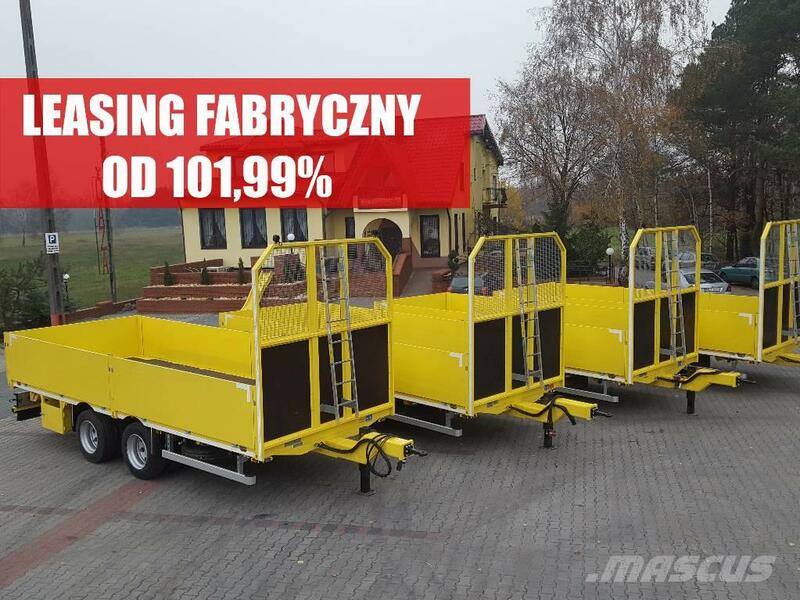 -4 handles (lasing rings) (5.3 t strong version) mounted on the extremities of the loading platform of the trailer in order to raise and load the trailer to another vehicle. -The front wall of steel, in the upper part of the walls fill openwork. -Pneumatic suspension with constant high ride regardless of loading weight. -Two 7-chamber rear combination lamps with reversing lights, fog lights, direction indicators and reflective triangles.